We may have missed it the last time we went to Vegas but this time Gerry and I are taking a romantic gondola ride through the Venetian's Grand Canal Shoppes . Sure to be an exciting and memorable time.The gondola glides past cafes and sidewalks and it is a perfect way to share your time with someone special,lthough both adults and children can enjoy this ride. 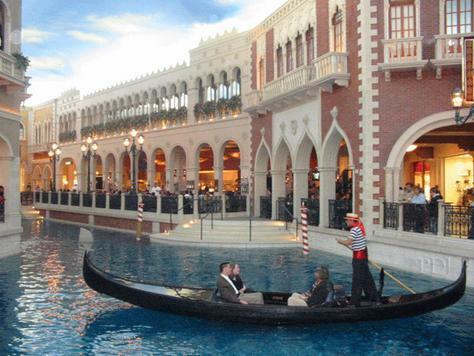 Ride as a family or in a personal gondola for two. 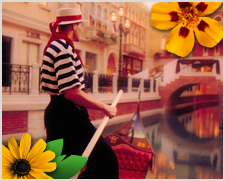 We can't wait to float beneath bridges, beside cafes, under balconies and through the exciting Venetian streetscape as our singing gondolier sweeps us down the Grand Canal for a ride we'll truly enjoy I'm sure.